First, a PSA: Please, please watch (or set your DVRs for) Happy Endings tonight on ABC. They’re going to cancel it if no one watches, and it’s a funny, clever little gem of a sitcom that provides a nice counterbalance to some of the other drivel on TV right now. Thanks! And now, back to our regular programming. Hump: Seriously, I have no idea what’s going on with Bates Motel. Is there supposed to be a plot? Continuous story lines? Any reason to care that Norman’s relationship with his mother seems off? If you don’t have the Psycho backstory, you also have no context. It just hasn’t come together yet. Also, the pot fields guarded by men with machine guns and the burning body hanging in the middle of town? Creepy as hell. Even so, manic pixie dream girl Emma (Olivia Cooke) is kind of intriguing, what with her taxidermy shop-owning dad and inability to see the red flags inherent in Norman’s drawings of bound women. Of course, this means things can only end badly for her. Marry: Just weeping over an episode of How I Met Your Mother.... Thanks a lot, Ted’s speech at the end about meeting the love of his life 45 days sooner because then he’d have even more time with her, and oh, there I go again with something in my eye. 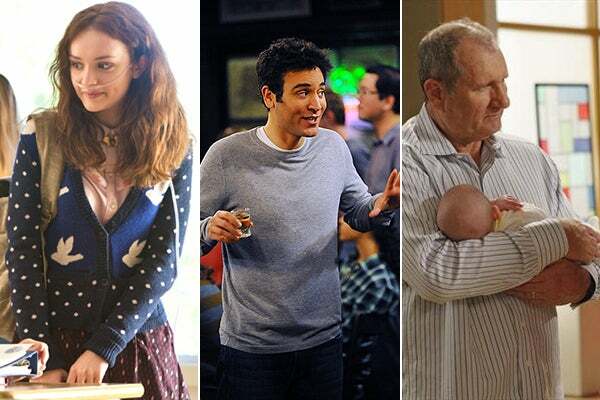 Kill: At this point, Modern Family episodes are just a game of “which characters haven’t had plotlines together recently; what hijinks can ensue the 3498384th time Phil tries to impress Jay; Claire and Cam’s personalities clash; and Gloria and Alex are inexplicably paired up to run "errands” (A 14-year-old just agreeing when her mom volunteers her to follow her aunt around on a Saturday? No, that is not real life.). This past week, though, it was the ol’ Jay’s an older dad who doesn’t really want to be left alone with the new baby rigamarole. Not only did he take an infant into a showing of Skyfall (don’t be that parent, Jay; no one likes parents who bring babies to the movies...I’m talking to you, people responsible for the infant wailing during an 11:30 p.m. showing of X-Men: First Class), he let Claire’s friend take the crying baby outside so he could keep watching the movie. Now, I know this woman was supposedly a childhood friend of Claire’s — and maybe I’ve been watching one too many episodes of To Catch a Predator — but you don’t just give your baby to a relative stranger to watch in a public place. It’s straight-up amateur hour in here.